Did my monthly transfer from Canada today. Still something wrong. Is this really Canadian Dollar? 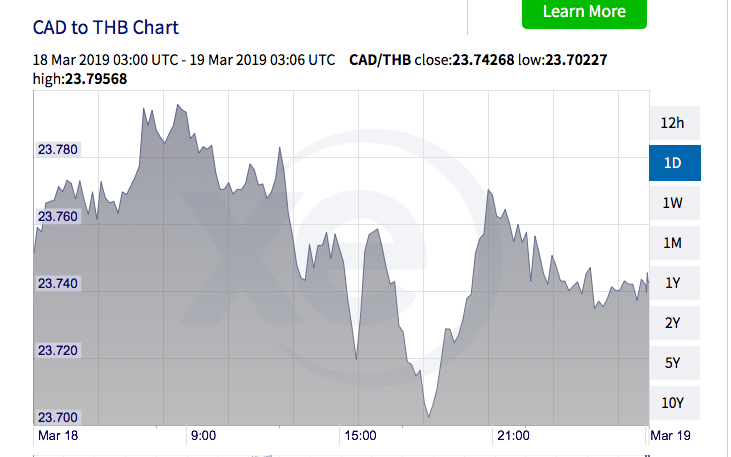 If you can tell how to get 29+ Baht for a Canadian Dollar (CAD)? you would be a popular person. CAD rate today about 23.5 (TT rate without fees etc.). And that is indeed close to the worst rate since 10 years. USD TT rate is 31.5 today. 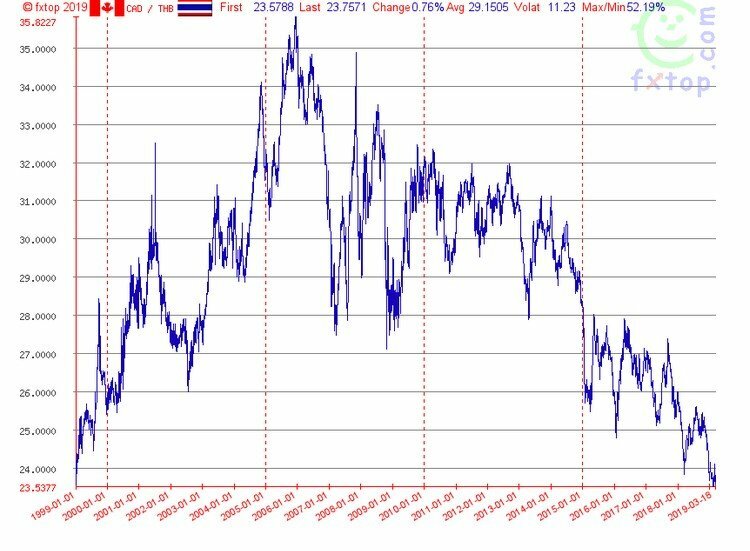 10 year currency market rates.